Here, you’ll find the little tid bits that helped me along the way. I wouldn’t worry about jotting down dates yet because I’ve had a professor who posted a flawed syllabus to Blackboard and later passed out the correct one in class. Just take this time to brace yourself for what’s ahead. If there is a section that notes what the professor expects from you as a student, read it thoroughly. Look for office hours and contact information, circle them. If for some reason these thing aren’t listed, wait for the professor to mention it and write it down or ask. 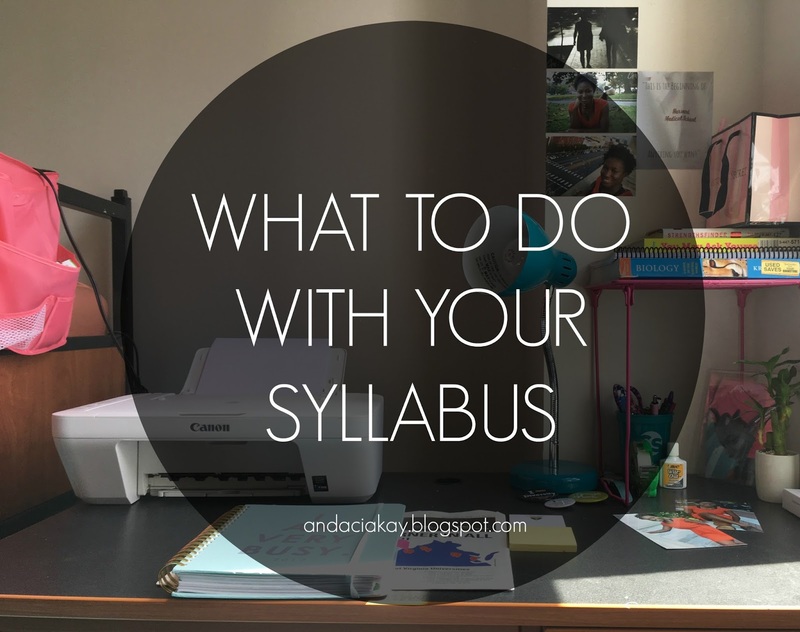 Also, skimming through your syllabus will give you a central idea of where things are as you will probably have to use it as reference several times throughout the semester. This will also give you a central idea of how often you should be studying for the course. Later on, you’ll be jotting them down in your planner, so they’ll be easier to find as well. I took a pretty colored pen and recorded all due dates for each of my classes in the monthly view of my planner. If you don’t have a planner, I suggest you use the Pocket Schedule App. There, you can put in your class schedule and all of the assignments for each course. This is an extra measure in making you sure you never miss a due date. This sounds silly, but I found this to be an essential piece of my “rising to the occasion”. By putting the due dates into the monthly view of my planner, I knew whether due dates from each of my classes overlapped and whether I had more than one test in one day. This definitely helped me when coming up with study plans. I used to be an unorganized person in my past life, gladly I found a method that seems to be working. I use a five-subject notebook that has pockets at the beginning of each section, this is where I place my syllabi. I found this to be effective because I always had them on me without having to carry an extra folder or binder. If you’re not too fond of notebooks or your classes constrict it, definitely go for a folder/binder. Maybe your planner has a pocket in the front, put them in there! 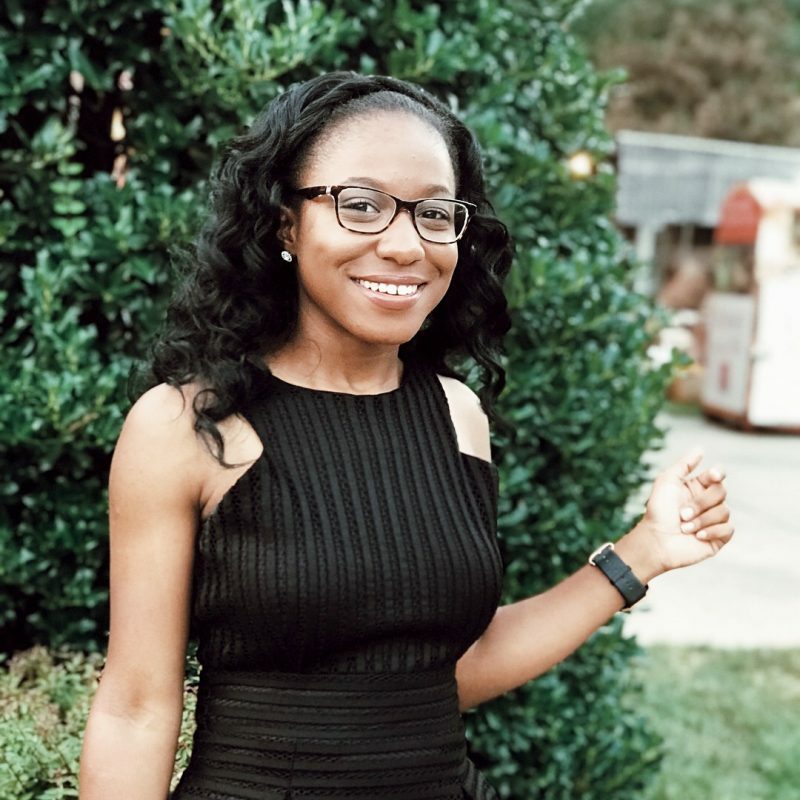 I’m always trying new things to see what would make me a better student, but this is what helped me succeed during my first semester. Hopefully it can help you too!